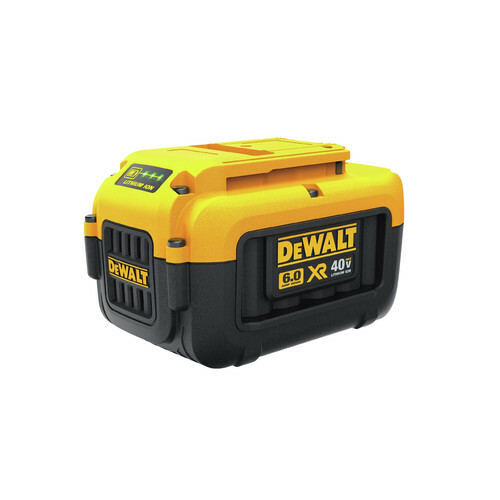 *Add a qualifying Dewalt 40V Kit to your cart and the free item will automatically be added. Offer valid until 11:59pm ET on April 27, 2019 or while supplies last. No adjustments to previous purchases. Subject to change without notice. The Pole Hedge Trimmer is designed to cut through a variety of landscape overgrowth. It features a telescoping shaft which retracts to 45 inches. for use in compact spaces and extends up to 70 inches when additional reach is needed. An articulating head allows the user to maneuver the Pole Hedge Trimmer to a variety of angles, cutting in 8 different positions, adjusted by 15-degree increments. Telescoping shaft retracts to 45 in. for use in compact spaces and extends up to 70 in. when additional reach is required. Trimmer paid for itself in one season! This well built beefy trimmer gives me access to branches previously out of reach. Enough so that I no longer need a gardener to trim twice a year. This device paid for itself in one season. Excellent battery life and cutting ability. The trimmer is, however, cumbersome and heavy at times depending on the pole length and blade angle.